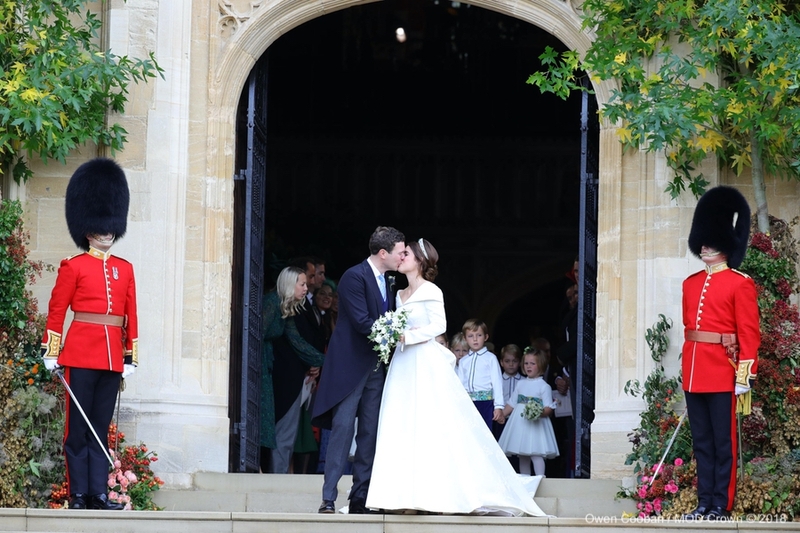 William and Kate attended Princess Eugenie’s wedding to Jack Brooksbank at on Friday the 12th of October 2018. 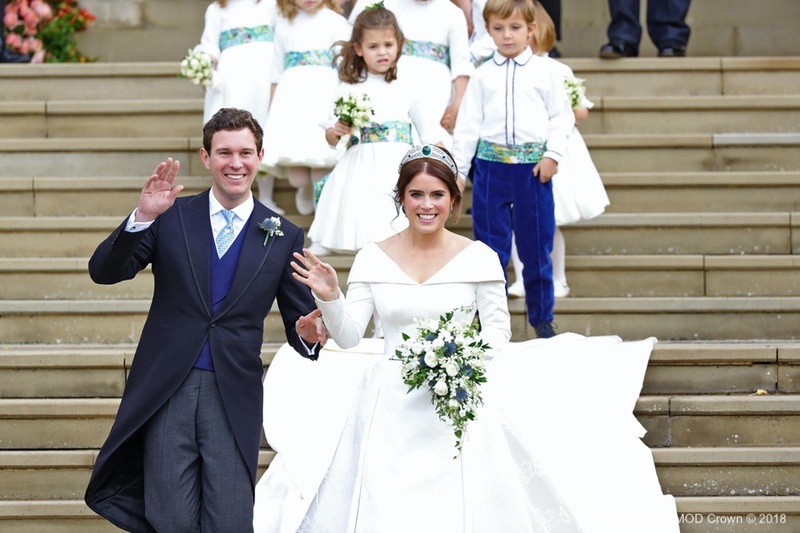 The couple watched on as Eugenie and Jack tied the knot in St. George’s Chapel at Windsor Castle. 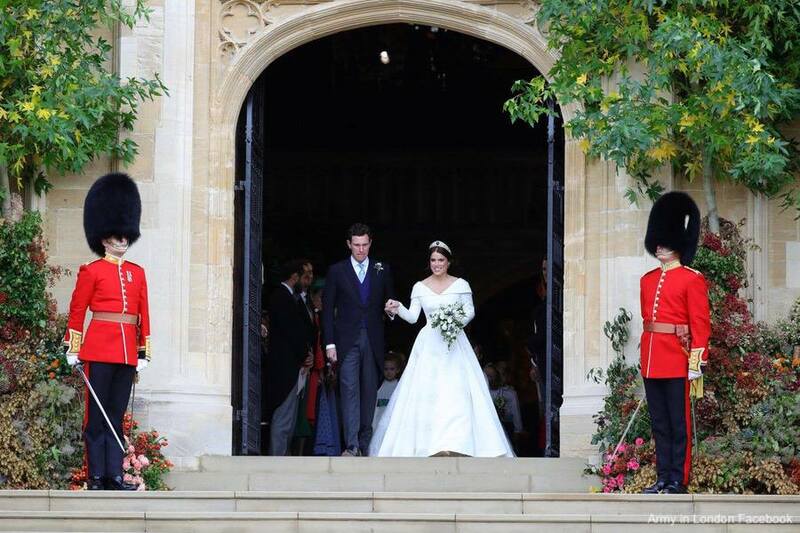 Eugenie hired floral designer Rob Van Helden to create a spectacular display in front of the church. The designer selected trees, foliage, flowers, branches and berries in rich and vibrant autumnal tones. 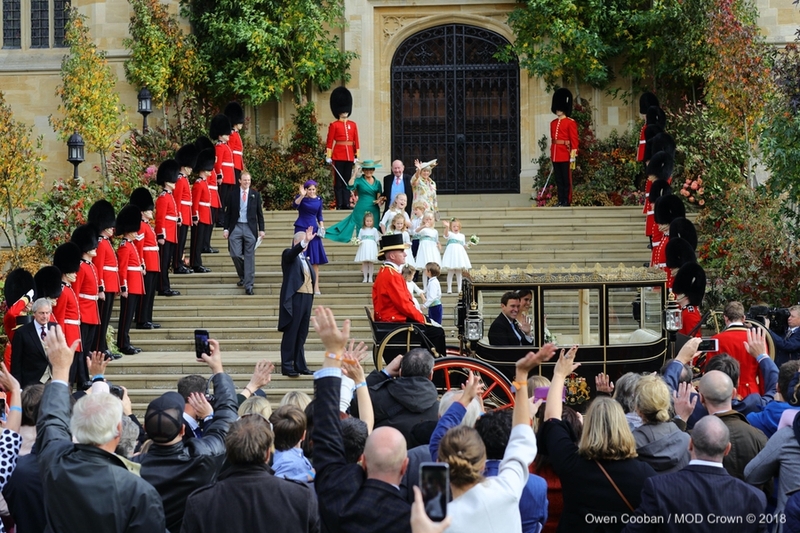 Kate’s children had starring roles in the ceremony. 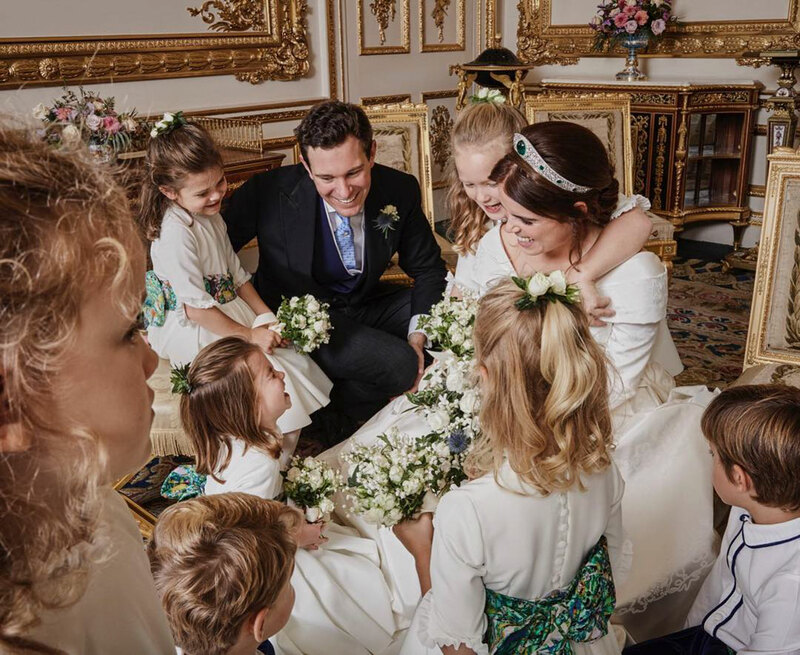 George and Charlotte joined the bridal party as page boy and bridesmaid. 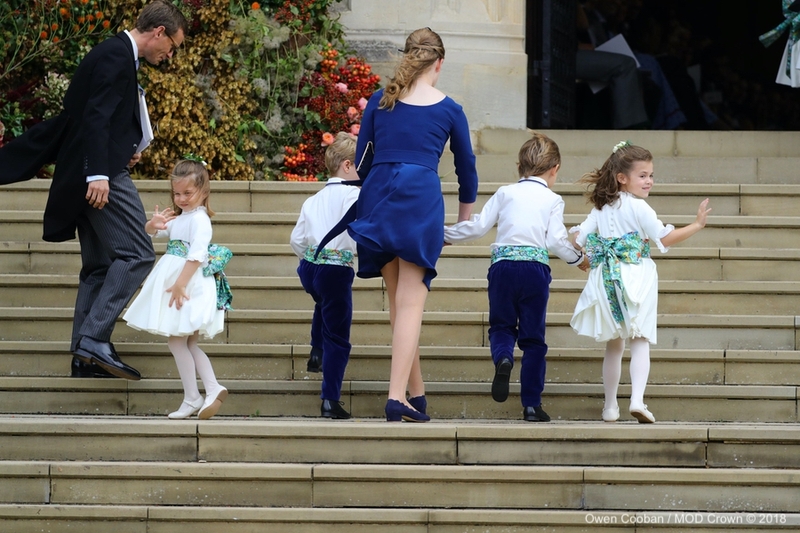 The youngsters looked adorable in their white and blue outfits by Amaia Kids. Each child wore a sash/cummerbund printed with artwork by Mark Bradford, from a painting named Here. The artwork featured in the couple’s Order of Service too. 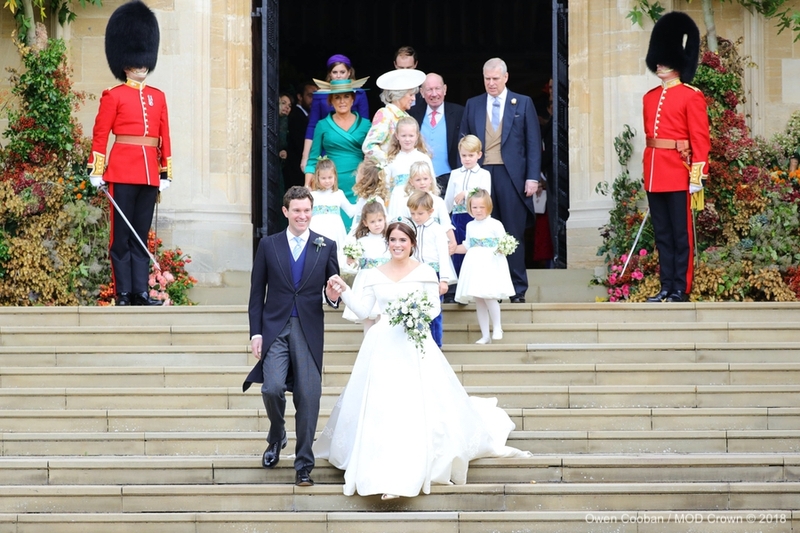 Of course, Princess Eugenie is an Art Director at Hauser & Wirth, a contemporary and modern art gallery. 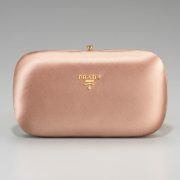 The Gallery represents established and emerging artists, including Bradford. 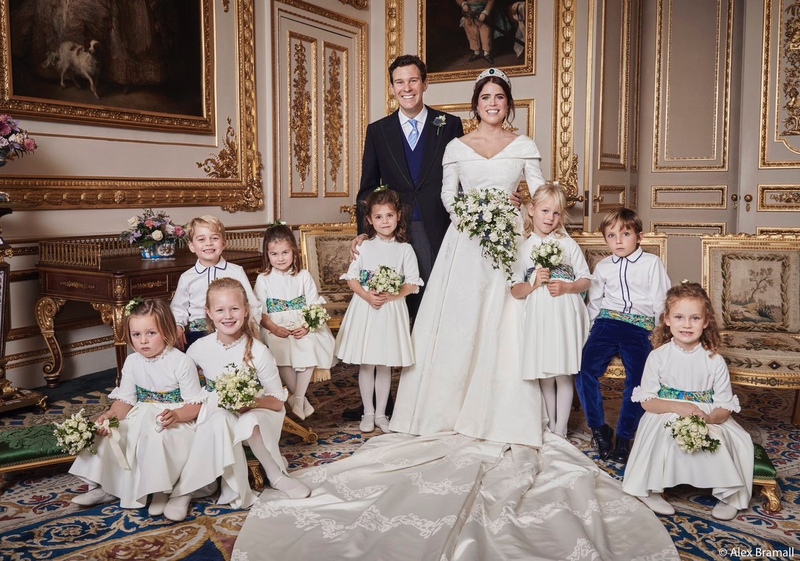 Below, a lovely photograph of the bridesmaids and pageboys shared by Princess Eugenie on her personal Instagram account. 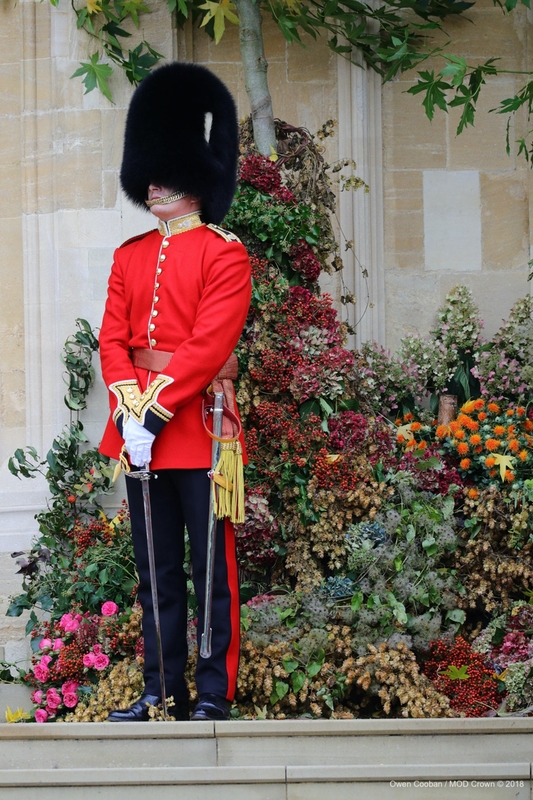 Lady Louise Mountbatten-Windsor was a special attendant at the wedding. She helped usher the smaller children into St. George’s. 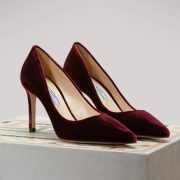 She wore a coordinating blue dress by French designer, Claudie Pierlot. 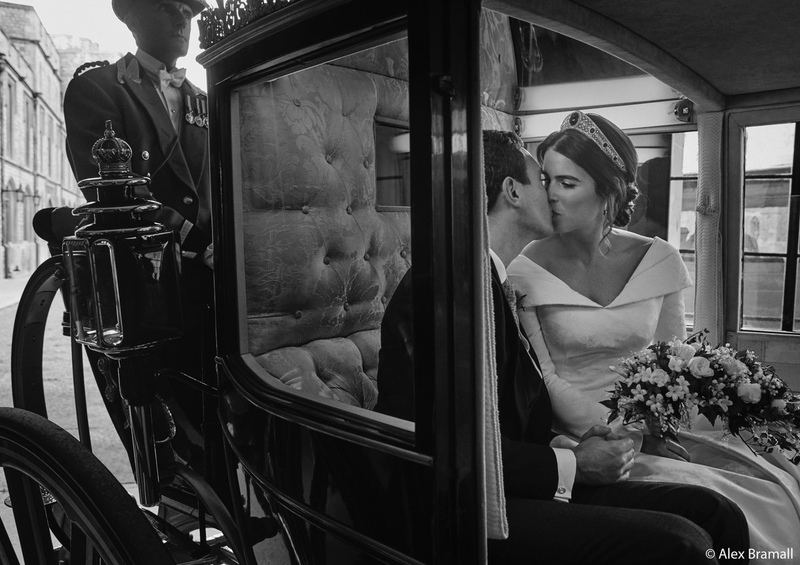 Princess Beatrice served as maid of honour to Eugenie, though broke with convention by not following her sister down the aisle or helping with her dress before the ceremony. Instead, the Princess accompanied the girls’ mother, Sarah, Duchess of York into the church. 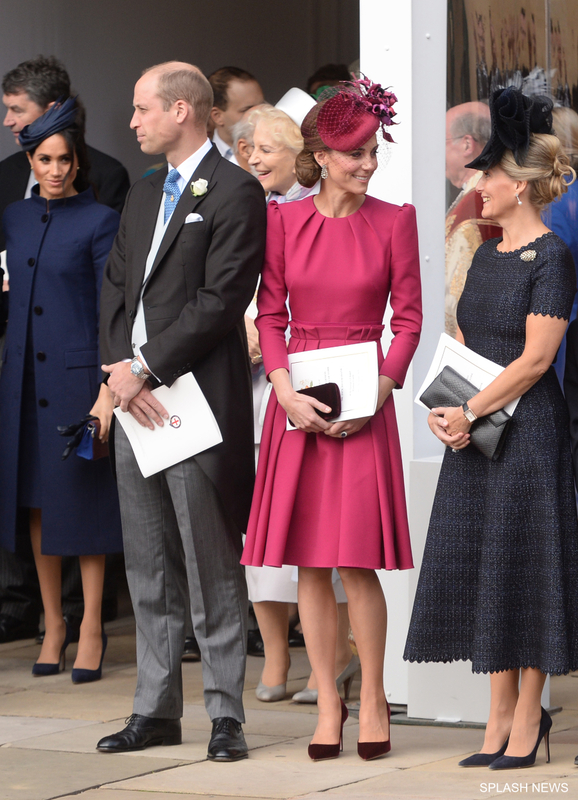 Beatrice wore a beautiful blue dress by Ralph and Russo, while the Duchess of York opted for a green dress by local Windsor company, Emma Louise Design. 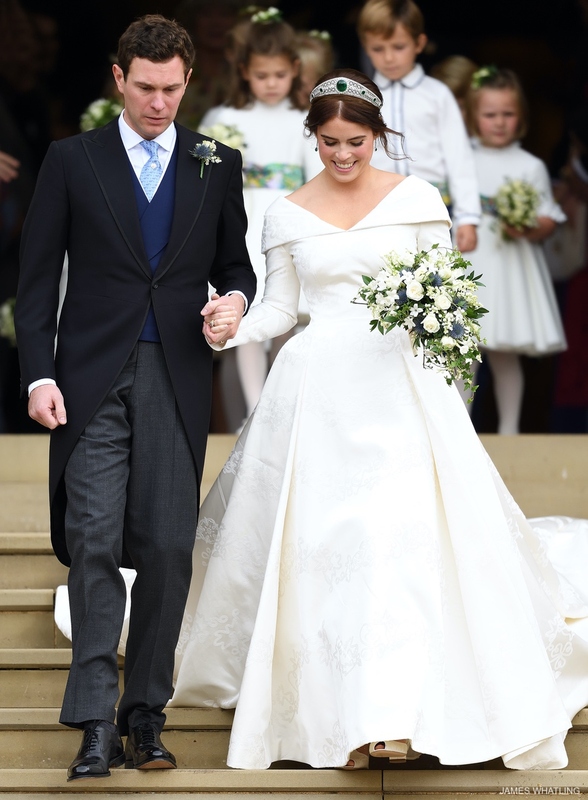 The bride looked stunning in her gown by London-based label Peter Pilotto, found by designers Peter Pilotto and Christopher De Vos in 2007. 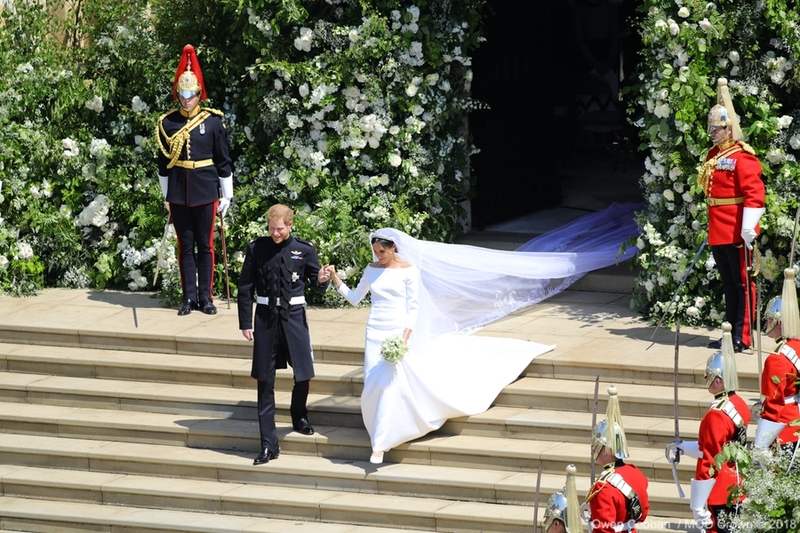 The dress features a neckline that folders around the shoulders to a low back that drapes into a flowing full-length train. 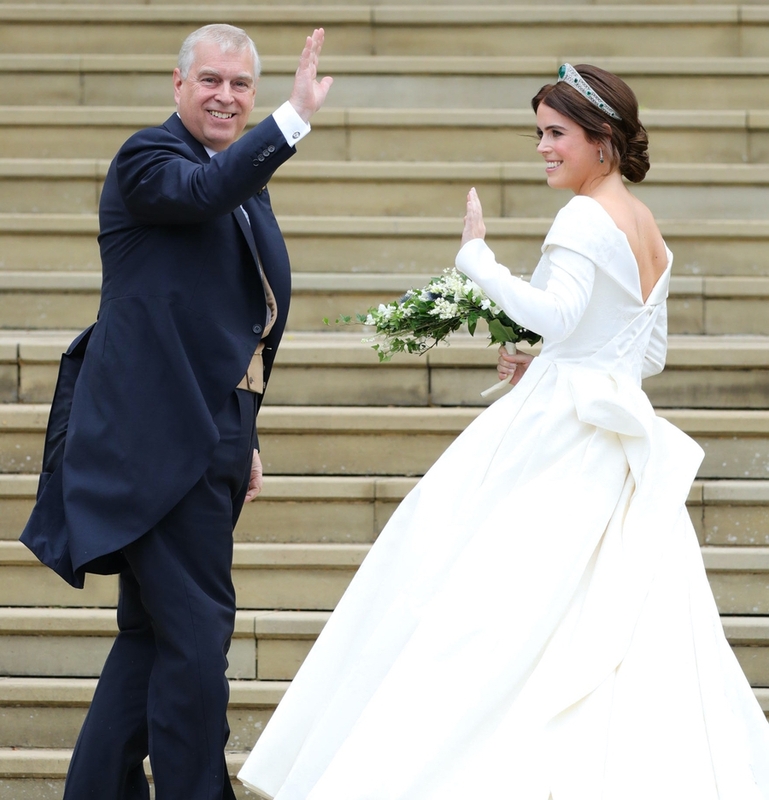 The low back feature on the dress was at the specific request of Princess Eugenie who had surgery aged 12 to correct scoliosis. 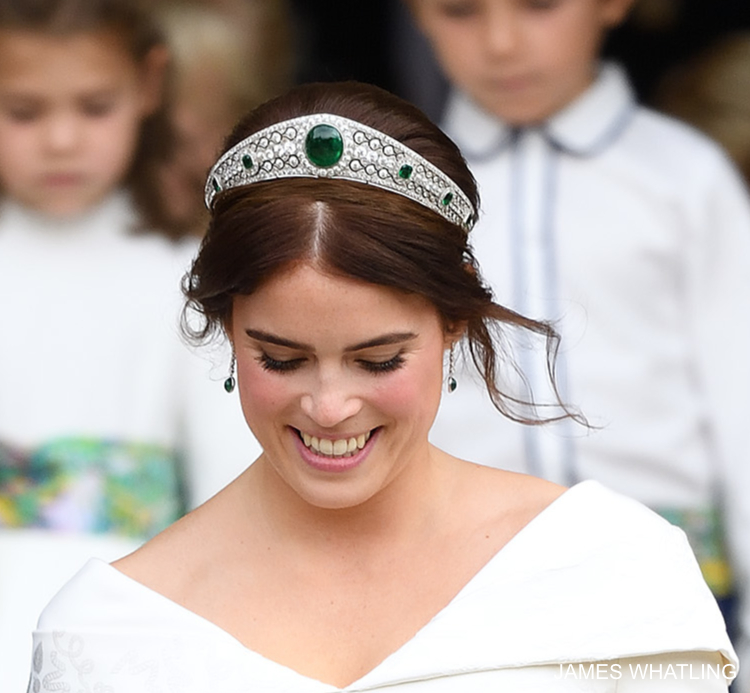 Eugenie wore the Greville Emerald Kokoshnik Tiara, leant to her by the Queen. The tiara is made of brilliant and rose cut diamonds pavé set in platinum, with six emeralds on either side. She accessorised with diamond and emerald drop earrings, which were a wedding gift from the groom. 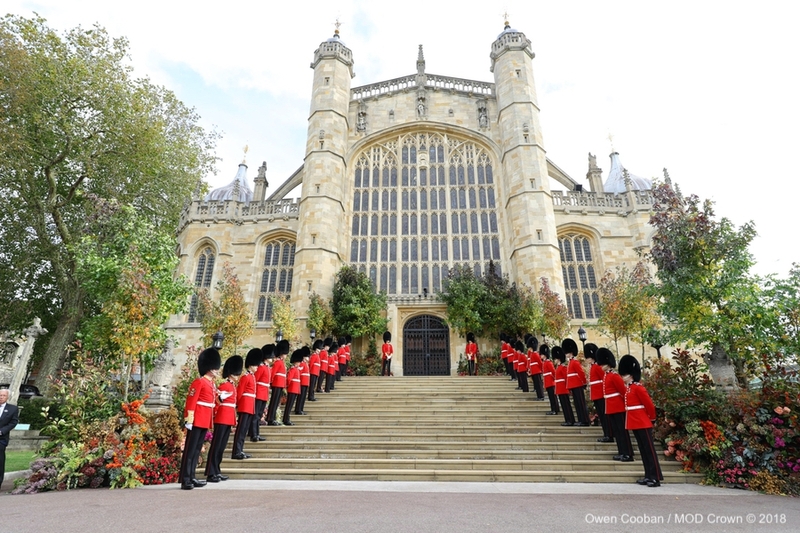 After leaving the church, the couple took a short carriage procession around Windsor before heading to their wedding breakfast at the Castle. 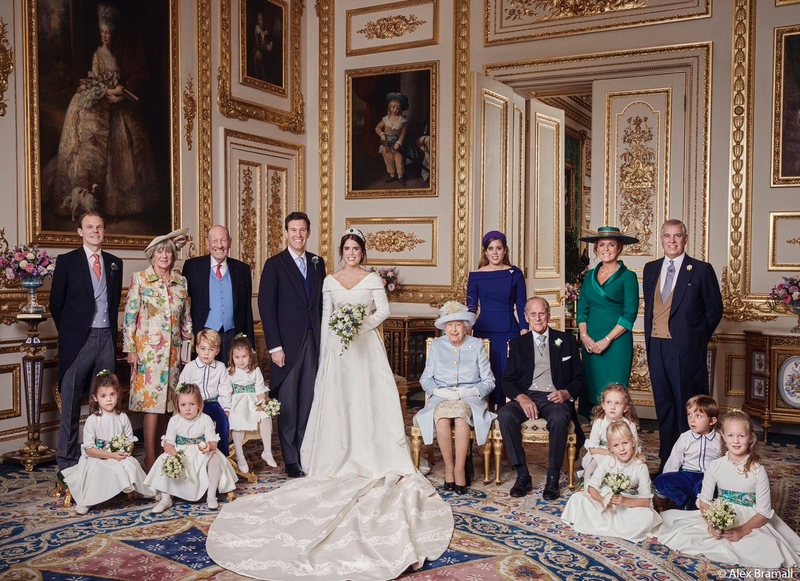 Before the wedding breakfast, the couple posed for an official photo with their families, bridesmaids and page boys in the castle. 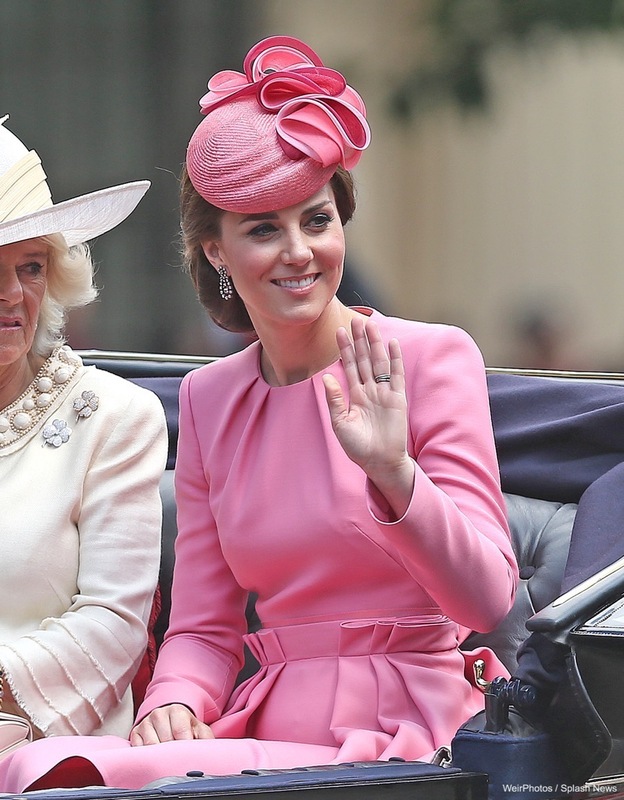 Kate chose a dark pink dress by Alexander McQueen for her cousin-in-law’s wedding. 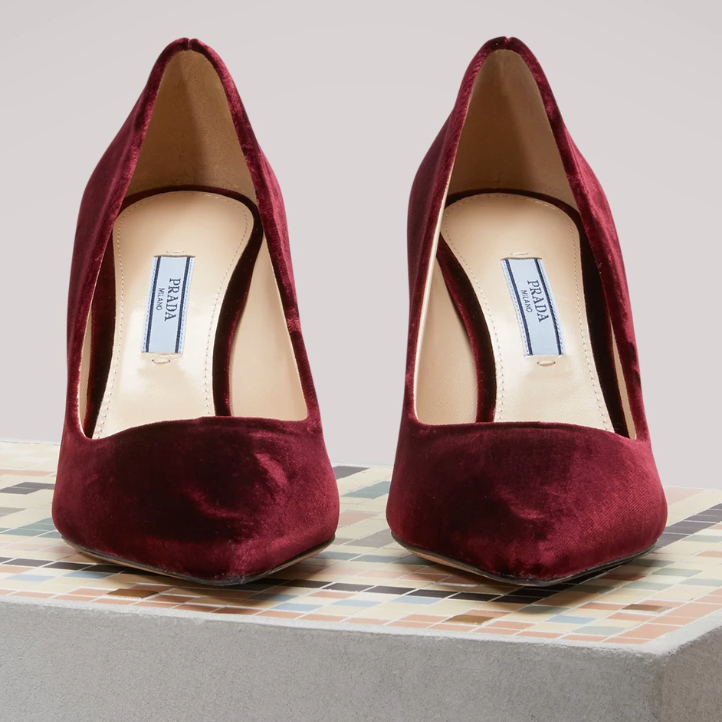 Kate’s burgundy velvet heels are by Prada. 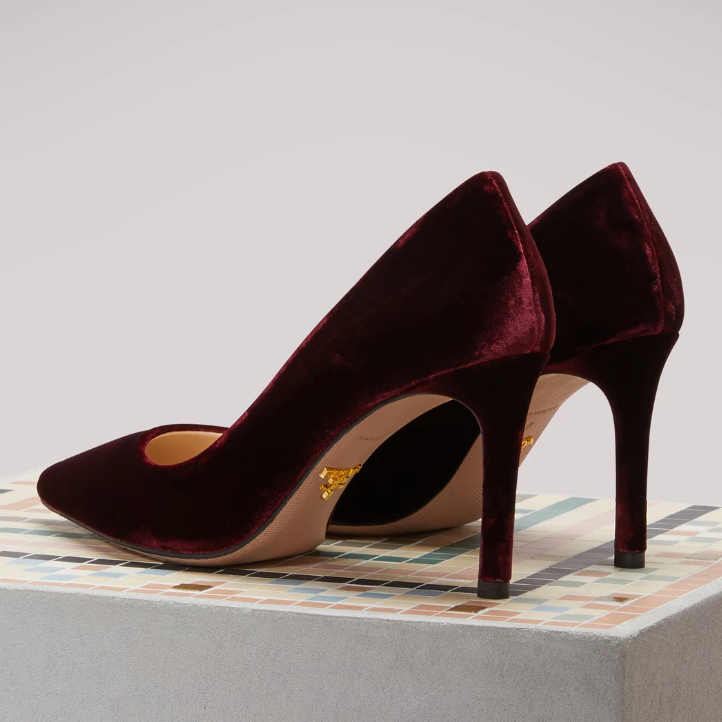 They feature an elegant pointed toe and a 3.5″ inch heel. 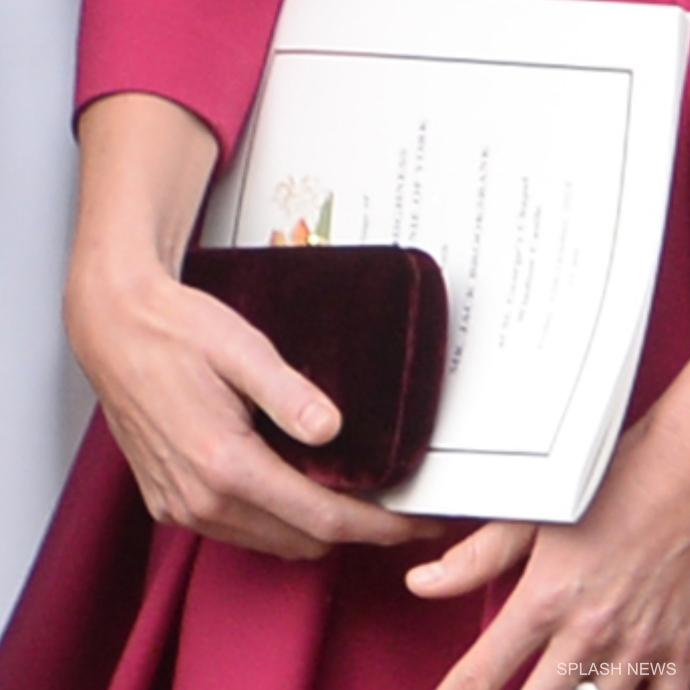 Kate carried a matching clutch bag, which is as yet unidentified. My guess is it’s the Prada Raso bag; the Duchess owns it in two in other colours. 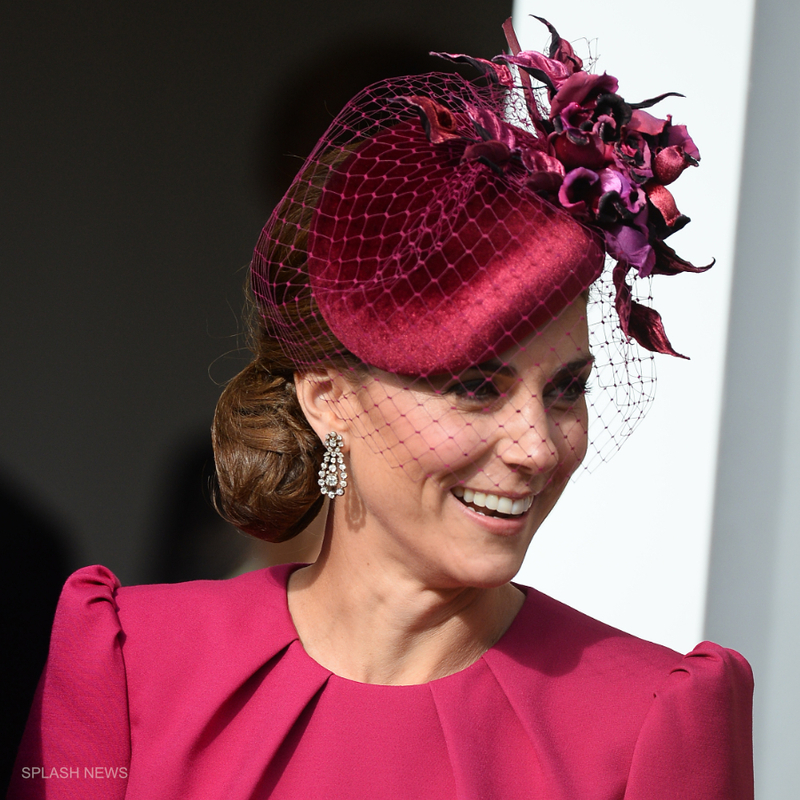 Kate chose a hat in a coordinating shade of pink. 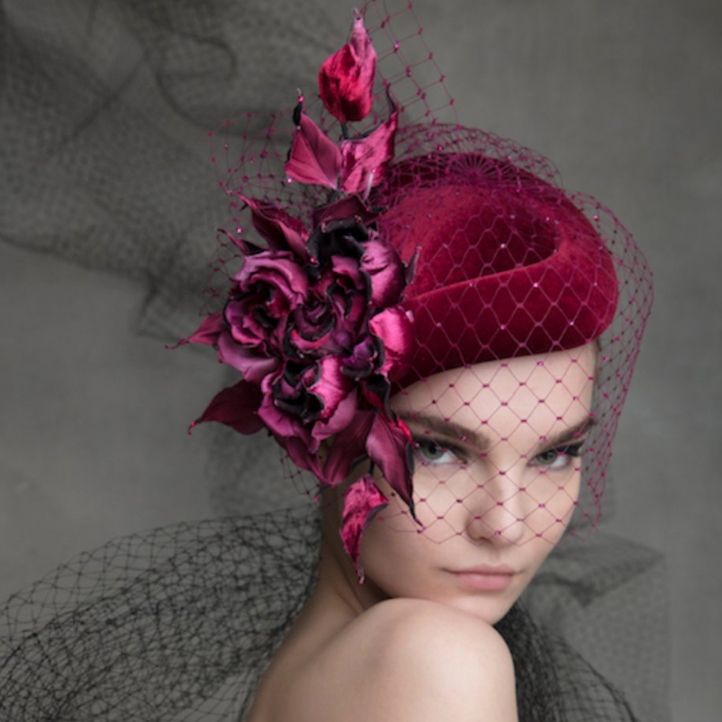 It’s by Philip Treacy. Kate added a splash of sparkle to her outfit with a pair of diamond earrings. 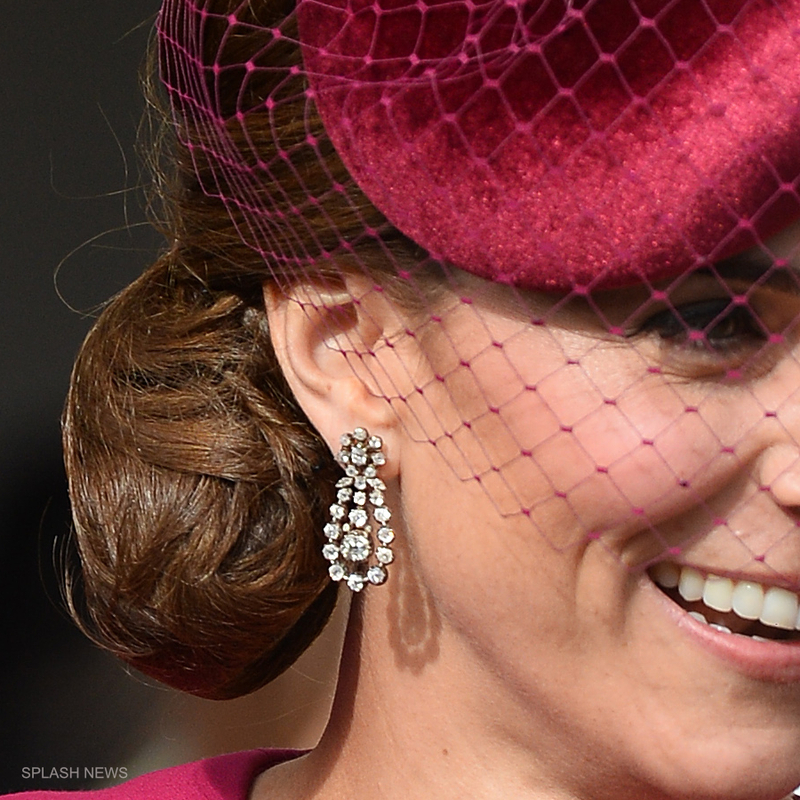 Kate regularly wears the earrings; they’re on loan from the Queen. Thank you to Susan, Michelle and Heaven for some of the outfit information included above. And doesn’t Jack Brooksbank seem like such a nice man? 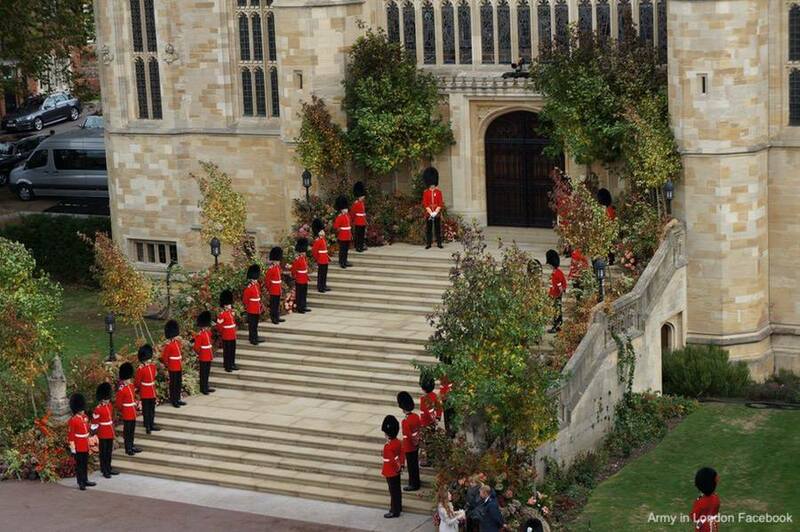 That was my favorite part of the wedding. He was so happy and excited, and I loved all the blue he was wearing.